We don’t have beaches in Denver, and it is probably a good thing because then everyone in the United States would want to live here! But we do have parks where young and old alike gather every weekend for a picnic, a game of volleyball, or just a relaxing layout session. Washington Park is probably the most well-known park in Denver not just because it’s a favorite of city residents but also because it’s over 100 years old. Since it is such a popular park and neighborhood, you better believe that the real estate in the area is also jumping. Wash Park, as it’s often called, is known to have some of the most beautiful (and expensive) houses in the city. The neighborhood is centralized around the stunning 165-acre park with over 54 flowerbeds, a 2.6 mile jogging path, 2 playgrounds, 10 tennis courts, a recreation center and two lakes. Can you see why people want to live in this beautiful area? While the neighborhood can be a bit pricey you still see young professionals moving in as well as established residents and retired residents. Homes range anywhere from $300,000 to a few million depending on the lot and specific location. Surrounding the park you can find a number of great restaurants such as Wash Park Grill, The Saucy Noodle, and local favorite for breakfast and a sweet snack, Devil’s Food. If you find yourself taking a stroll around the park you may notice a ditch that runs the length of it. Most folks don’t know that ditch is a National Historic Landmark known as City Ditch. Washington Park was named for President George Washington and was built from 1899 to 1908. If you find yourself in the gardens on the east side of the park you can see a replica of Martha Washington’s garden as seen in Vernon, Virginia. The Wash Park neighborhood has and always will be a desirable location for Denverites. Whether you enjoy the actual park or the convenient location to both downtown Denver and Cherry Creek, this neighborhood is sure to please. 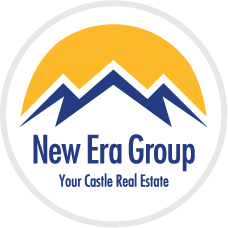 If you think you are ready to look at some houses near the ‘beach of Denver’, give us a call at New Era Group today and one of our experienced agents will gladly help you out.